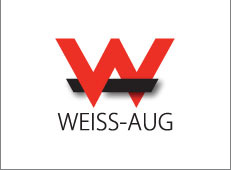 Weiss-Aug Company Inc. is a valued partner for innovative and technically sophisticated custom insert molding, precision metal stamping, and automated assembly solutions. The company provides advanced engineering, prototyping, and production of custom-designed components for the medical, automotive, aerospace, and interconnect industries. ISO 9001:2008, TS 16949:2009, and ISO 13485:2003 certified. For more information contact Weiss-Aug Company, Inc.